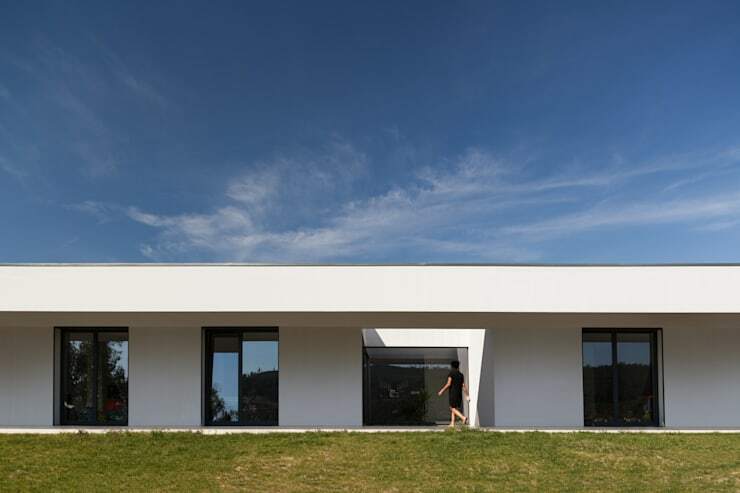 Today on homify 360 we visit a gorgeous house located in Aveiro, Portugal, which was designed by the brilliant team at FRARI—Architecture. This collaboration of architects, interior designers and engineers have created and built a truly fantastic designer home. The home has a modern and minimalist style, which begins at the exterior and continues inside. This is a house that prides itself on being harmonious, functional and beautiful. If you are looking for amazing ideas to include in your home, then this experience is certain to spark your creativity! 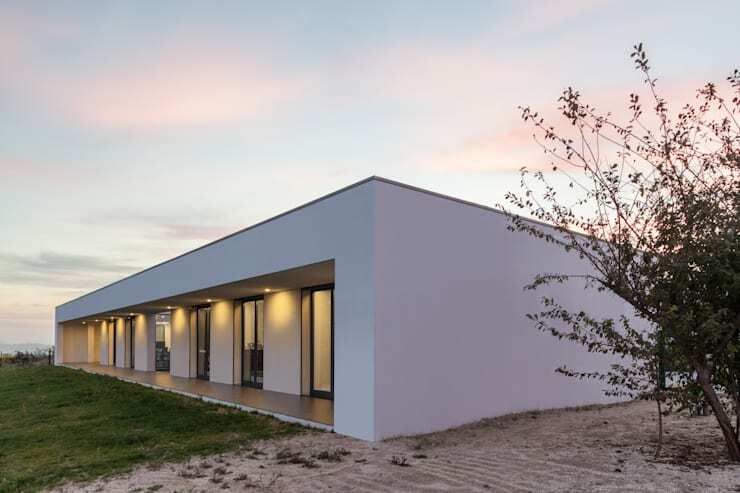 This stylish designer home is built on level ground, making its structure simple and timeless. The home offers a tranquil and serene experience and is the best way to escape the hustle, pollution and sounds of the city. The surroundings of nature will transport you to another world, one where a relaxing atmosphere can be enjoyed. This modern home includes a fantastic porch all around the property allowing for maximum enjoyment from the outdoors to inside the home. The addition of large windows serves as the perfect way to allow natural sunlight into the home, while being a great way for ventilation to become part of the home. The entrance to this home is almost hidden, creating that truly minimalist atmosphere. 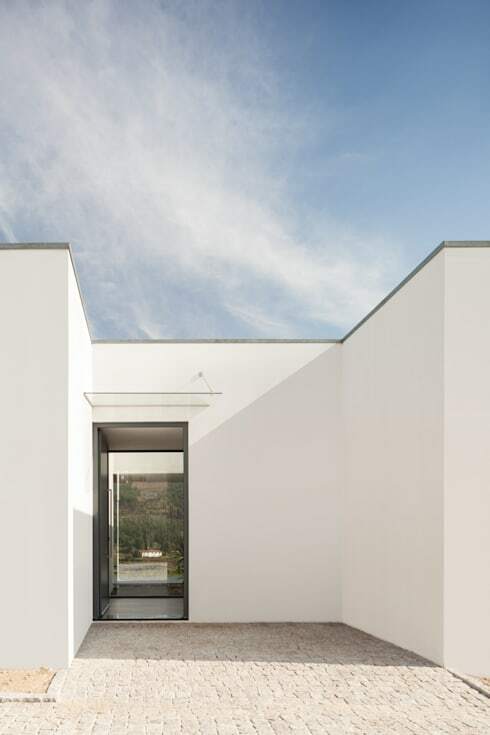 While the house is situated within the Cavalum Valley and the terrain surrounding it is almost uneven, the home has been built on a flatter area. Entering this home is surprising as the entrance seems almost abstract and hidden, but that doesn't make this home any less elegant! 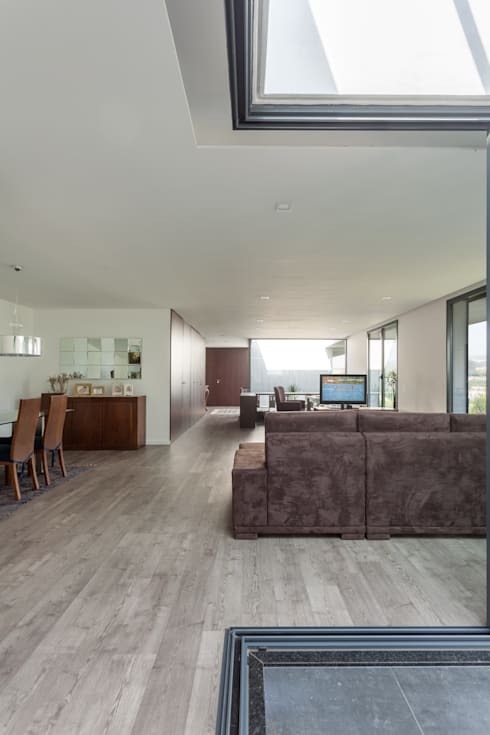 The organisational structure of this home creates two separates living areas, the open plan living and dining room is displayed here. The kitchen is in a separate space, while the bedrooms are housed in another part of the home. The courtyard separates these areas elegantly, but also adds a garden-like atmosphere to the home. The warm and cosy experience of the interior is further accentuated through the placement of large windows throughout the space, and with the all-white walls and light grey flooring the space is so inviting! 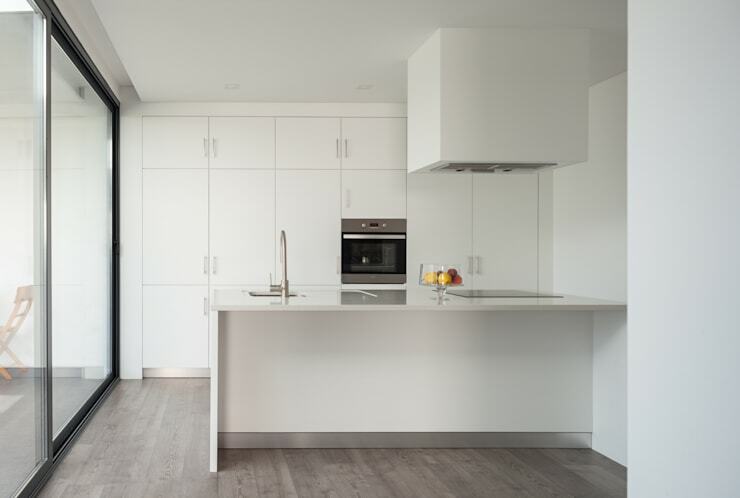 This modern all-white kitchen is minimalist in its own way, the counter houses both the stove and tap with some working space as well, while the appliances are neatly fitted into the cabinets, creating a seamless effect. The sleek design is further emphasised through the addition and location of the large window, which allows for natural sunlight to bathe the kitchen throughout the day, while also allowing inhabitants to take full advantage of the terrace! 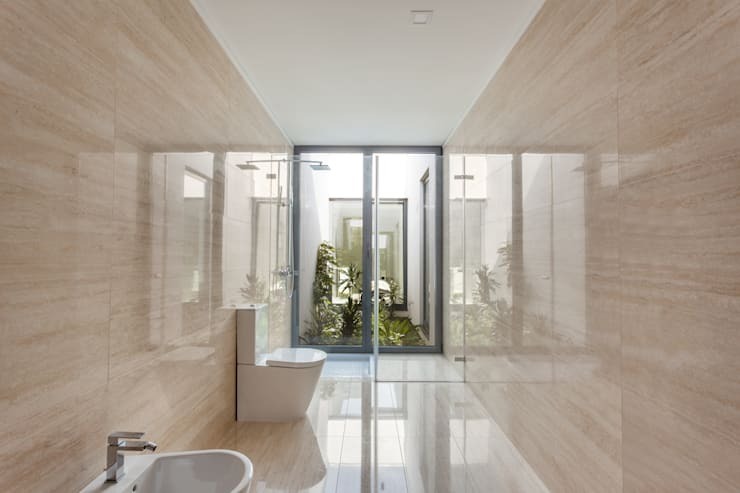 The sleek en suite bathroom of this beautiful home with its views of the garden will be the perfect way to kick-start your day! Who wouldn't want to enjoy the early morning sun here? The classic and simple yet neutral use of colour will ensure that this bathroom design will be a designer one for years to come! The indoor-outdoor relationship, and the glamorous context of this clean, convenient and comfortable environment certainly suggest that it is a quiet escape from the outside world! If you liked enjoyed home, you should definitely check out: A Cutting Edge Home Surrounded by History.